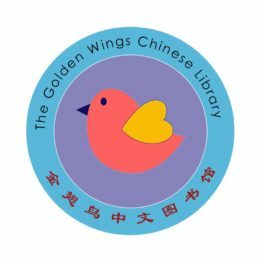 Our Chinese library, Golden Wings Chinese Library, is located at CLA lobby, right outside CLA 200 auditorium. Its operation hour is 9:30-10:30 every Sunday morning when Chinese school is open. 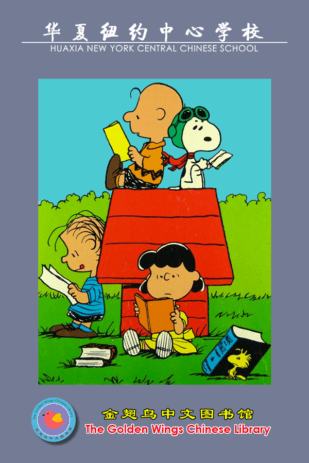 Every registered student is eligible to use the library, without the need of a library card. Each student can check out up to 3 books each week, which should be returned or renewed the following Sunday when Chinese school is open. Please bring the books back to the library for renew. Founded in 2015, the library has over 1000 books, majority of which was purchased directly from China. Based on level of difficulty, the books are divided into 3 categories, each on an individual book shelf with color-coding stickers on the side of each book. The first level with red or orange stickers is for early readers, or read by parents. The next level, with yellow stickers, is for elementary school age children. The highest level, with green or blue stickers are for more advanced readers. In our library, you may find Chinese translation of some popular kid books such as “Magic School Bus”, “Diary of a Wimpy Kid”, “Harry Potter” as well as many classical Chinese stories. 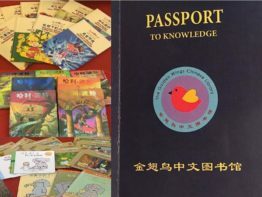 To encourage reading, each user is given a “Library Passport”. It is not required for borrowing books, but each time, a student checks out books (by themselves or by their parents), the librarian will put a small blue stamp on their passport. If a student writes down what the book is about or what he/she learned from the book in Chinese on one of the blank pages in the passport, the student will earn a big red stamp. For every 6 small blue stamps or a single big red stamp, a student can choose a small gift from our library “treasure box”. We welcome parents to stop by at CLA Lobby after dropping off the kids, pick a few books and enjoy reading with your children! 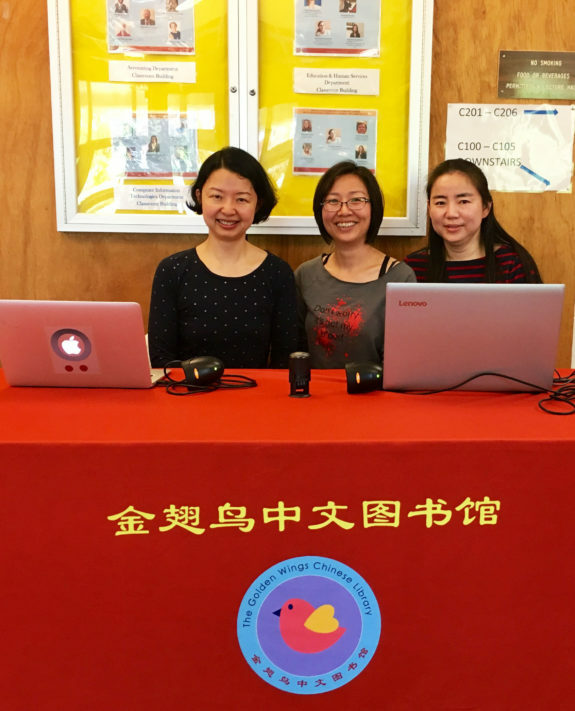 The creation of Golden Wings Chinese Library was made possible by then Principal Michael Sun, then AP Chinese teacher Xiaopeng Ju and current Librarian Yuling An. Without their generosity and hard work, the library project would not have been possible. To browse library collection, please click here. Library Name is HXNYC, no password is required.